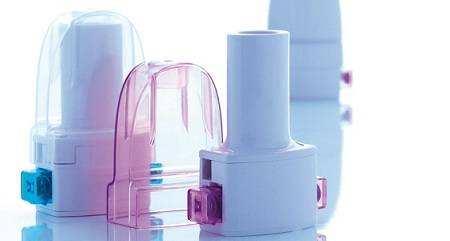 According to the study, ‘Dry Powder Inhaler Devices – Medical Devices Pipeline Assessment, 2018’, Some companies operating in this industry along with their products are Acorda Therapeutics Inc, CVT-427 Drug Delivery Device; Aespira Ltd., resQhaler; Bayer AG, Ciprofloxacin Dry Powder Inhaler; Bespak Europe Ltd, DEV610 DPI; Boehringer Ingelheim GmbH, Next Generation Respimat Inhaler; Circassia Pharmaceuticals Plc, Tiotropium bromide DPI; GlaxoSmithKline Plc, Gemini Multi-Dose Combination Inhaler; MannKind Corp, Dreamboat; MannKind Corp, Treprostinil Technosphere; Respira Therapeutics Inc, RT234 AOS DPI; Sandoz International GmbH, Solis Multi-Dose Dry Powder Inhaler; Sun Pharma Advanced Research Company Ltd, SPARC DPI; Verona Pharma Plc, RPL554 – Dry Powder Inhaler. Dry powdered inhalers (DPIs) are widely accepted inhaler devices primarily used in Europe where it is often used to treat chronic obstructive pulmonary and asthma. The acceptance of these devices in the United States can be primarily correlated to introduction of 2 well known drugs. These are Advair Diskus and Serevent Diskus. The prime advantage of DPIs is that it offers convenience to consumers especially for combination therapies. The design, development and formation of any powder drug delivery system is a very complex task. The key is to match device geometry with the choice of formulation. Good quality aerosol in terms of aerosol’s aerodynamic particle size is one of the most important factors in pulmonary delivery from DPI. There are primarily 2 types of dry powdered inhalers currently. One in which drug is packaged in a gelatin blister or foil capsule and the other in which there is a reservoir of drug from which doses are metered out. These devices are becoming relatively popular as they do not require chlorofluorocarbon propellant to spread the drug which makes these devices eco friendly. The efficiency of these devices to in dispersion of the aerosol is also a key factor that leads to their huge success. Other benefits include reduced need for patient coordination, less potential for formulation problems. Environmental factors especially humidity and temperature also affect the functionality of these devices. Recent developments in this industry include focus on delivery system that disaggregates the powder as this effectively minimizes formulation development work. The current devices that are in use are too bulky and heave that limits mobility. Companies are trying to develop devices that are much smaller in design and simultaneously ensuring that the efficiency does not go down. A multi dose reservoir has been developed that can be used for the delivery of formoterol. One of the most recent developments is the breezhaler device. This is a single dose DPI which functions on aerolizer technology with many design changes which ensure device handling. Capsules containing acting beta-adrenergic bronchodilator indacaterol maleate and the long-acting muscarinic antagonist glycopyrronium are used by this device to deliver the drug. This device has been structured in a manner to lower the internal airflow resistance. In the last decade, the world has witnessed increasing usage of dry powdered inhaler devices primarily because of their efficiency and eco friendly nature. The future of this industry shall focus more on consistence, reliability, efficiency and mobility. All these factors shall ensure greater penetration of DPIs especially in the developing markets. The growth potential for these devices is definitely high which could be tapped if the manufacturers are able to keep up with improvements in pharmaceutical industries also.